This should ensure the answer is honest, as you will then have something to fall back on should you need to make any disputes. It is a shame that when anything has anything to do with money, there is always someone ready to try to fraudulently cheat you out of a fair deal. Someone is always more than willing to take advantage of the unwary, and life insurance is no exception. For this reason you need to be careful when buying such an important product and make yourself fully aware of exactly how much money you are covered for, exactly what the conditions of your insurance are, and who will be your beneficiary when you die. It is also important that you know what the premium payments will be. If you look at life insurance in an uncomplicated way you will find it quite easy to understand. Too many people still believe it's a daunting proposition and best left to the experts to advise them on what they should and shouldn't do. It's this willingness to leave it to someone else to arrange, that makes life insurance a rewarding enterprise for the smooth talking fraudster. 1. Term life insurance is the cheaper of the two, but it only covers you during the term for which you have taken out the policy. Once that term has expired so does your coverage and any premiums you have paid to that date will be forfeited, if you are still living. If you still need the coverage you'll have to take out new insurance and this will be more expensive, as you will have aged and the risk of insuring you will be greater. 2. Whole Life Insurance is more expensive initially. It is not sold as much today, as superannuation type schemes are becoming more popular as the investment they include is often more rewarding. People who take out whole life insurance however usually do so for that very purpose, their whole life. 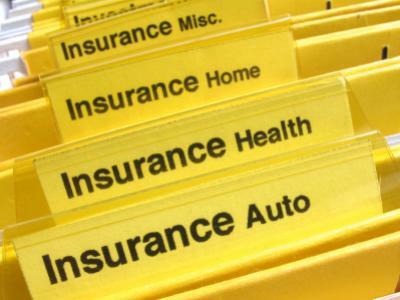 The premium cost will remain the same throughout the life of the policy; the life insurance company will have to pay out on a whole life insurances policy in one way or another. If you die your beneficiaries will benefit, and if you want to surrender it you'll get most of your premium money back. After about 10 years, you'll start getting more than your premium money back. This is not to say you shouldn't seek advice, by all means you should, but in doing so make sure the person advising you is qualified and representing a reputable financial advisory body, or on the payroll of a life insurance company. A lot of life insurance is sold by agents who are paid commission. Although there are many reliable and trustworthy life insurance agents in the business, there is always the odd one willing to take advantage of the person who they think they can swindle out of a fair deal. Just use your common sense and be wary. Ask questions and demand an answer in writing before you sign. If you are still not sure ring the company yourself for a more detailed explanation. Churning takes place when an unscrupulous life insurance agent tries to talk you into buying extra cover on a whole life policy claiming it will give you a better cash value. The fraud takes place when he knowingly sells you the policy at a very small premium cost and that the balance of the premium real cost will be taken from the investment you have already accrued in the original document, therefore slowly eating up all the cash value in your policy. Eventually you will finish up with no policy cover at all. Many life insurance agents are very good salesmen and women and are skilled at making a good argument for what they are trying to sell. Unfortunately they sometimes put their own welfare before that of their clients. This happens when they try to sell you a package. Just keep an eye on what you are buying and make sure you only purchase what you feel you need. Stacking takes place when a life insurance agent loads you with totally useless policies because he or she sees you as a soft touch. Don't buy anything you don't need. Life insurance purchased purposely to make money is fraudulent. Life insurance is meant to benefit your dependants by replacing what they will lose in the event of your death. It is not meant to make them rich beyond their dreams. A person who takes out a large coverage on the life of their spouse and then goes about poisoning their coffee is of course committing serious offences, one of which is an insurance scam. When applying for life insurance cover, it is a fraudulent act for you to say you are a non-smoker when you actually are a smoker for example. You must disclose all your health issues as well as that of your family members. If you are dishonest in any way it will get found out and you could run the risk of your beneficiaries not receiving what you expected them to receive and all the premiums you paid could have been wasted.